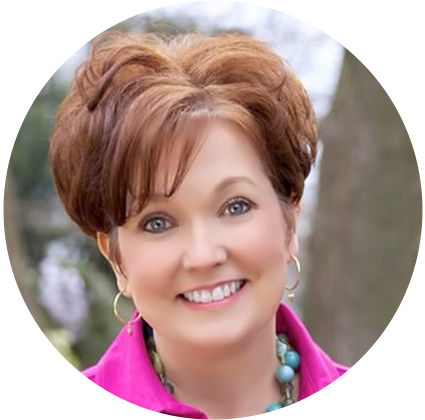 When I was a young mom I use to think there was a big secret to keeping a home cleaned and organized, a secret I just didn't know yet. It took me some time to realize that there really isn't some type of secret formula to keeping a house clean it's really just creating habits for yourself that when they are done everyday creates a routine that keeps your home picked up and clean. I think routines are essential for so many aspects of our lives but especially for our homes. It is so important to create an atmosphere that is calm and as stress free as possible. I think the key is allowing ourselves enough time to get these jobs done throughout our day. Even if completing one job is the only thing completed all day, it is an accomplishment that puts you ahead instead of running behind. 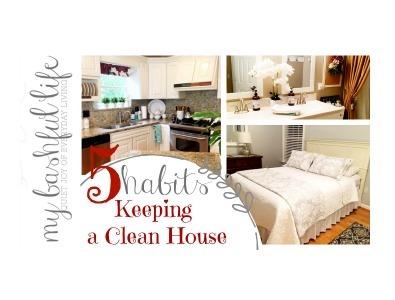 I have created these habits for myself to help keep my home clean and organized! 1. Make the beds everyday. This job takes maybe 3 minutes to complete but it is the job that once completed, sets the stage for success for the rest of the day. 2. Wipe down the bathrooms. Most days is just wiping toothpaste off the mirror, swishing the toilet, putting out a clean hand towel and clearing off the counter tops. The bathroom is ready for the family at the end of the day and should an unexpected guest pops in for a visit, the bathroom is fresh and clean. 3. Wash the dishes everyday. Never put off doing the dishes until later or the next morning. If you have time, wipe off the counter tops now and put everything away. 4. Take out your trash and recyclables. This is really very simple, if the trash is full, take it out. Empty the trash cans in the bathrooms and bedrooms in your home. Don't let the recyclables pile up on the counter, put them in the recycle bin through out the day. Not only will this keep you kitchen clean but it will help it smell clean too. These are the 5 habits that I have created for myself to do everyday. Most days these are completed easily and some days I am happy to have made my bed! Check out the video for more info! Leave me a comment below and let me know those jobs you do everyday! Thank you for visiting and please SUBSCRIBE to my YouTube channel HERE to be sure not to miss a single video! I'm visiting for the first time from the Hearth & Soul hop. From your blog description, it sounds like you might work outside the home too, so I applaud you forming such diligent habits. I didn't spot anything on your list about recruiting help, so I do hope your dear ones pitch in as they are able. But I agree, little and often seems to be the knack to maintaining a little inner calm. I totally agree with the dishes. Nothing gets my day going than coming into a kitchen with no dishes in the sink. ;) I have little ones and a stay at home dad that isn't the biggest cleaner. Most days I am putting toys back in the play room and straightening up the pillows to make it look like adults live in this house. These are great tips, Mickey. Just staying on top of things can make all the difference. Sharing this post later today on the Hearth and Soul Link Party Facebook page. Thank you so much for sharing it. I hope you will visit again soon. Have a lovely week! Great tips. For those of us who have to keep things tidy it's always fun to read how others tackle daily organizing. There are a wide range of sorts of gardening and numerous valid justifications to cultivate.